A look at every major step in the Russia investigation, chronologically. President Donald Trump continues to call for the Justice Department to launch investigations into "corruption" at the FBI, "illegal surveillance" of his presidential campaign, and the "phony" and "corrupt dossier," which he still insists started the federal probe of contacts between Russian operatives and his associates. The following is an extensive account of the federal counterintelligence probe, laid out in a detailed timeline. This timeline is based on publicly-released FBI documents, congressional records and testimony, court filings, and certain media reports confirmed to ABC News by sources with knowledge of the matter. It will be updated as new information becomes available. 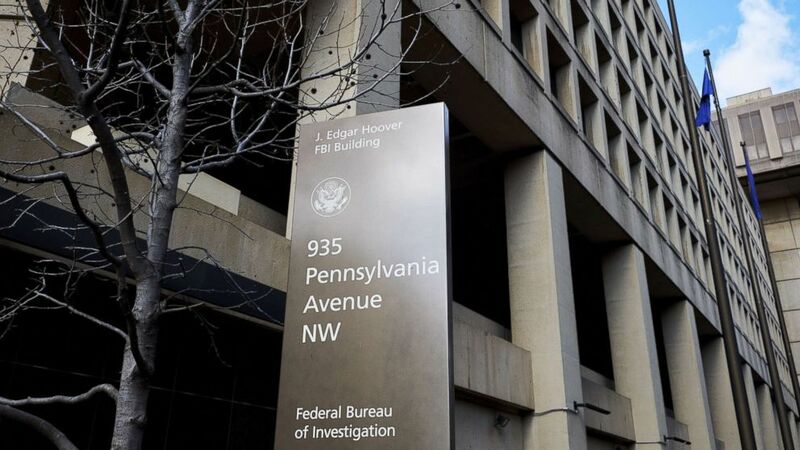 -- In the months before the 2016 presidential election, the FBI was uncovering efforts by the Russian government to interfere in the election, and the FBI was trying to assess unverified allegations that Trump’s associates were aiding the Russian effort. -- The FBI’s counterintelligence probe was not launched because of the “dossier,” but the “dossier” aided the investigation and offered unconfirmed tips for agents to explore. -- Looking to share the work of a longtime acquaintance, senior Justice Department official Bruce Ohr passed on “dossier”-linked information to the FBI. But the first recorded meeting between Ohr and the FBI came four months after the FBI launched its investigation and a full month after the FBI used previously-obtained information from the “dossier” to support secret surveillance of Trump campaign adviser Carter Page. (T.J. Kirkpatrick/Bloomberg via Getty Images) A sign stands outside the Federal Bureau of Investigation (FBI) headquarters in Washington, D.C., Feb. 2, 2018. JUNE 2015: Donald Trump announces his candidacy for president. SEPTEMBER 2015: Looking to boost one of the other Republicans running for the GOP nomination, the right-leaning Washington Free Beacon retains the Washington-based firm Fusion GPS to conduct opposition research on Trump. DECEMBER 2015: Michael Flynn, the former director of the Defense Intelligence Agency, attends a gala in Moscow celebrating the Kremlin-backed television network RT, which paid Flynn more than $45,000 to attend. Flynn, who does not join the Trump campaign as an adviser for another few months, is captured on camera sitting next to Russian President Vladimir Putin. EARLY JAN. 2016: Carter Page meets with Trump campaign manager Corey Lewandowski about joining the Trump campaign, and he then becomes a “low-level junior” volunteer with an informal foreign policy committee tied to the campaign. JANUARY 2016: Former British spy Christopher Steele sends a "happy new year" message to someone he’s known for some time, Bruce Ohr, the head of the Justice Department’s Organized Crime Drug Enforcement Task Force. Steele also mentions their mutual interest in a Russian oligarch they previously followed together and who may be visiting the United States soon. In his position at the Justice Department, Ohr not only coordinates the department's efforts to crack down on drug trafficking and foreign cartels, but he also serves as a top official inside the deputy attorney general’s office. EARLY MARCH 2016: George Papadopoulos becomes a foreign policy adviser to Trump’s campaign. MARCH 14, 2016: While traveling in Italy, Papadopoulos meets a London-based professor who claims to have connections with the Russian government. MARCH 2016: The FBI interviews Carter Page about his contacts in Russia. MARCH 2016: Russian hackers launch an operation to break into computer systems associated with the DNC and email accounts of Clinton campaign staff, including campaign chairman John Podesta. AROUND APRIL 2016: The Washington Free Beacon ends its research contract with Fusion GPS when it’s clear Trump is going to become the nominee. APRIL 2016: Rep. Dana Rohrabacher, R-California, meets in Moscow with Russian lawyer Natalia Veselnitskaya. In the summer of 2016, Rohrabacher also met with WikiLeaks founder Julian Assange at the Ecuadorian Embassy in London, months before the site released hacked Democratic emails received from Russian hackers. MAY 2016: The DNC realizes it has been hacked and quietly hires a security company to investigate. MAY 19, 2016: Paul Manafort, who initially joined the Trump campaign in March as a “campaign convention manager” becomes the campaign manager. LATE MAY 2016: Acting on behalf of the DNC, the law firm Perkins Coie hires Fusion GPS to conduct research on Trump. Having known Steele for nearly seven years, Fusion GPS contracts with Steele to conduct the research. The head of Fusion GPS, Glenn Simpson, has also known Steele’s contact at the Justice Department, Ohr, for several years. Simpson hires Ohr’s wife, a Russian linguist named Nellie, to help with the research and analysis. LATE MAY 2016: Papadopoulos tells the Greek Foreign Minister that the Russians have “dirt” on Hillary Clinton. JUNE 7, 2016: Goldstone emails Trump Jr. again, looking to set up a meeting between Trump Jr. and a “Russian government attorney.” Two days later, Trump Jr. and the attorney meet in Trump Tower, along with Trump's son-in-law Jared Kushner and then-campaign chairman Paul Manafort. JUNE 14, 2016: News outlets widely report that Russian hackers working on behalf of Russian intelligence services have infiltrated the DNC and accessed a trove of emails. JUNE 20, 2016: Steele compiles a report concluding the Kremlin had “cultivat[ed]” and “compromised” Trump, and it was “feeding Trump and his team valuable intelligence” on Hillary Clinton and others. EARLY JULY 2016: Described by Simpson as worried that what he was finding could have national security implications, Steele contacts his handler at the FBI. Neither Steele nor Fusion GPS tells the DNC or law firm that Steele is reaching out to the FBI. EARLY JULY 2016: Carter Page, then an adviser to Trump’s campaign, emails Corey Lewandowski and campaign advisers Hope Hicks and J.D. Gordon to tell them he is planning to go to Moscow to give the commencement speech at the New Economic School there. JULY 8, 2016: Carter Page sends an email to campaign members Tera Dahl and J.D. Gordon, saying he “received” some “incredible insights and outreach” from “a few Russian legislators and senior members of presidential administration” in Russia. (Page later tells congressional investigators he was referring in that email to what he had heard in public speeches.) After speaking in Moscow, he stays in touch with as many as 10 Russian scholars and others he met there. JULY 2016: An Australian diplomat alerts the FBI about Papadopoulos, who claimed to have been told that the Russian government obtained "dirt" on Hillary Clinton. LATE JULY 2016: Steele compiles another report saying he had found “further evidence of extensive conspiracy between Trump’s campaign team and [the] Kremlin.” The report says the alleged “cooperation” was “managed on the Trump side by the Republican candidate’s campaign chairman, Paul Manafort, who was using foreign policy adviser, Carter Page, and others as intermediaries.” The report also alleges that a “Trump associate admits Kremlin behind recent appearance of DNC e-mails on WikiLeaks.” (Manafort has since denied taking part in any collusion, and Page has repeatedly denied being a Russian Agent. That report was just one of more than a dozen that ultimately comprised what is now known as “the dossier.” General themes in Steele’s reporting about Russia’s aims to sow discord in America and to connect with associates of Trump have since been corroborated by the U.S. intelligence community, but many of the specific allegations and details in Steele’s reports have yet to be verified, at least publicly. JULY 21, 2016: Strzok sends a text message to an FBI attorney, calling Trump “a disaster” and wondering “how destabilizing his Presidency would be.” This message comes after Strzok calls Trump “an idiot” in previous text messages to the FBI attorney. JULY 22, 2016: WikiLeaks publishes tens of thousands of emails stolen from the DNC. JULY 25, 2016: "Get to Assange," former informal Trump campaign adviser Roger Stone writes former InfoWars Washington bureau chief Jerome Corsi, as part of a multi-day email exchange, noting that WikiLeaks was preparing to release emails that “deal with [the Clinton] Foundation, allegedly.” Stone had hired Corsi to conduct research in advance of the election. Later that month, Stone suggests Corsi should send London-based conservative author named Ted Malloch to see Assange. One email in early August seems to suggest Corsi was successful in establishing a line of communication to Assange and later informed Stone of the pending release of information the special counsel has alleged was provided to WikiLeaks by a hacker with ties to Russian military intelligence. Corsi responds to Stone with details that appear to describe the hacked material WikiLeaks was preparing to release. "Word is [that our] friend in embassy" -- a reference to Assange -- "plans 2 more dumps... Impact planned to be very damaging," Corsi wrote. "Time to let more than Podesta to be exposed as in bed w enemy if they are not ready to drop HRC. That appears to be the game hackers are now about." JULY 30, 2016: Steele, Ohr and Ohr’s wife, Nellie, meet for breakfast in Washington. After the breakfast, Steele emails Ohr, saying, "Glenn [Simpson] is happy to speak to you on this if it would help." AROUND JULY 31, 2016: The FBI opens its counterintelligence investigation. Veteran agent Peter Strzok, the Section Chief of FBI’s Counterintelligence Division, is assigned to lead the probe. EARLY AUG. 2016: Steele compiles at least two reports on “growing backlash” within high-level Russian ranks over whether the DNC hack went too far, and on “evolving Russian tactics in pro-Trump, anti-Clinton operation.” One of those reports briefly mentions Carter Page, alleging the Kremlin “indirectly” paid for him and several other Americans to travel recently to Moscow. Page has since denied any wrongdoing. AUG. 19, 2016: Paul Manafort resigns as Trump’s campaign chairman. Three days later, Steele compiles a report on Manafort’s supposed “demise” and what he describes as Putin’s concern that alleged “kick-backs” to Manafort were not properly hidden. AUG. 22, 2016: Simpson emails Ohr, asking Ohr to “ring.” They make contact, but it’s still unclear what Simpson wanted to discuss. BEFORE SEPTEMBER 2016: Carter Page has a conversation with at least one Russian national about starting a think tank or similar project with money contributed from both Russians and Americans. AS EARLY AS MID-SEPT. 2016: Fusion GPS directs Steele to share his findings with members of the media. SEPT. 2016: Steele tells Ohr he is “desperate that Donald Trump not get elected” and is “passionate about [Trump] not being president,” as Ohr later recalls in notes. SEPT. 14, 2016: Steele compiles two reports discussing Putin’s overseas connections and “fallout from media exposure of Moscow’s interference in the U.S. presidential campaign.” The report does not mention or discuss any Trump campaign associates. SEPT. 21, 2016: Steele emails Ohr, saying he is “keen to meet up.” They have breakfast in Washington two days later. SEPT. 23, 2016: Media reports say U.S. authorities are investigating Carter Page and whether he may be tied to Russian efforts to influence the upcoming presidential election. Without mentioning Steele or his reports, at least one article says authorities have obtained intelligence reports alleging that when Page was in Moscow in July 2016, he met with two Russian officials. Page denies ever working for the Russian government. SEPT. 25, 2016: Carter Page sends a letter to FBI Director James Comey, referencing the allegations in media reports two days earlier and denying them. LATE SEPT. 2016: Carter Page leaves the Trump campaign. OCT. 7, 2016: WikiLeaks releases emails stolen by Russian hackers from the personal email account of John Podesta, Clinton’s campaign chairman. OCT. 7, 2016: DHS and the Director of National Intelligence, James Clapper, issue a public statement saying, “The U.S. Intelligence Community is confident that the Russia Government directed” the DNC hack. OCT. 12, 2016: Steele compiles a report saying “buyer’s remorse” was setting in within Russia over the operation to support Trump. The report does not mention or discuss any Trump campaign associates. OCT. 18, 2016: Steele emails Ohr in the early morning, saying he has “something quite urgent” to discuss. They talk over Skype. OCT. 19 AND OCT. 20, 2016: Steele compiles two reports alleging Trump’s longtime personal attorney, Michael Cohen, met with Kremlin officials months earlier in Prague. The reports say the meeting took place in August and was intended to limit the damage from the exposure of “Trump foreign policy advisor Carter Page’s secret meetings in Moscow with senior [Russian] regime figures in July 2016.” Cohen has denied the reports. LATE OCT. 2016: Steele continues to share his findings with the FBI. OCT. 28, 2016: FBI Director James Comey sends a letter to Congress, saying the FBI is reopening the Hillary Clinton email probe. ON OR SHORTLY AFTER OCT. 28, 2016: Upset over how Comey’s letter might impact the upcoming election, Steele shares his reports with a reporter at Mother Jones magazine. Mother Jones then contacts an FBI spokeswoman for comment and publishes a story on Oct. 31, 2016. Upon learning of Steele’s contact with a reporter and the disclosure of Steele’s relationship with the FBI, the FBI promptly suspends its relationship with Steele. NOV. 8, 2016: Election Day. Trump is elected president. EARLY NOVEMBER 2016: Steele stops working for Fusion GPS. AFTER NOV. 24, 2016: Steele and Simpson of Fusion GPS are concerned that no one “at a high level of government was aware of the information that Chris had gathered and provided to the FBI,” as Simpson later puts it to House investigators. So Steele suggests that Simpson of Fusion GPS reconnect with Ohr. DEC. 5, 2016: Ohr speaks with someone at the FBI. According to top Republicans on the Senate Judiciary Committee, this conversation covers Ohr's contacts with Steele. DEC. 9, 2016: Sen. John McCain, R-Ariz., gives copies of Steele’s reports that he received to FBI Director James Comey. DEC. 12, 2016: Ohr speaks with someone at the FBI. According to top Republicans on the Senate Judiciary Committee, this conversation covers Ohr's contacts with Steele. A "302" report -- the standard report used to summarize notes from an interview -- is produced by the FBI. The report recounts information from this day's meeting and the two previous FBI meetings with Ohr. It the first of several more "302" reports to be filed regarding Ohr. DEC. 20, 2016: Ohr speaks with someone at the FBI. According to top Republicans on the Senate Judiciary Committee, this conversation covers Ohr's contacts with Steele. Another “302” report is produced by the FBI. JAN. 6, 2017: Inside Trump Tower in New York, senior U.S. intelligence officials give Trump a classified briefing on what the U.S. intelligence community has unanimously concluded about Russian efforts to meddle in the election. In a one-on-one meeting after that briefing, Comey tells Trump about the unverified allegations being made against him in Steele’s reports. JAN. 9, 2017: Buzzfeed publishes copies of Steele’s reports, marking the first time the documents have been shared publicly. JAN. 2017 (BEFORE JAN. 20): The FBI files an application with the Foreign Intelligence Surveillance Court to continue monitoring Carter Page’s communications. Even though the FBI’s relationship with Steele has been suspended, the FBI says in its application that his latest information is still deemed “reliable” as his previous reporting “has been corroborated and used in criminal proceedings.” A federal judge nominated to the federal bench by George W. Bush, Michael Mosman, approves the continued surveillance. JAN. 20, 2017: Rohrabacher hosts an inaugural ball dubbed “Liberty Ball,” which was attended by two of the participants in the June 2016 Trump Tower meeting hosted by Donald Trump Jr., Russian-American lobbyist Rinat Akhmetshin and Russian lawyer Natalia Veselnitskaya. JAN. 23, 2017: Ohr speaks with someone at the FBI. According to top Republicans on the Senate Judiciary Committee, this conversation covers Ohr's contacts with Steele. A “302” report is produced by the FBI. JAN. 24, 2017: The FBI interviews Flynn, who has become Trump’s national security adviser. JAN. 25, 2017: Ohr speaks with someone at the FBI. According to top Republicans on the Senate Judiciary Committee, this conversation covers Ohr's contacts with Steele. Another “302” report is produced by the FBI. JAN. 27, 2017: Ohr speaks with someone at the FBI. According to top Republicans on the Senate Judiciary Committee, this conversation covers Ohr's contacts with Steele. Another “302” report is produced by the FBI. JAN. 27, 2017: The FBI interviews Papadopoulos in Chicago. FEB. 6, 2017: Ohr speaks with someone at the FBI. According to top Republicans on the Senate Judiciary Committee, this conversation covers Ohr's contacts with Steele. Another “302” report is produced by the FBI. FEB. 14, 2017: Ohr speaks with someone at the FBI. According to top Republicans on the Senate Judiciary Committee, this conversation covers Ohr's contacts with Steele. Another “302” report is produced by the FBI. FEB. 14, 2017: Speaking one-on-one in the Oval Office, Trump brings up Flynn to Comey. “I hope you can let this go,” Trump says of the Flynn case, according to Comey. MARCH 2, 2017: Attorney General Jeff Sessions, who served as a top national security adviser to Trump’s presidential campaign, recuses himself from any campaign-related investigations. APRIL 2017: Repeating the same information that was included in previous applications, the FBI submits another application to the Foreign Intelligence Surveillance Court to continue monitoring Carter Page’s communications. A federal judge nominated to the federal bench by then-President George H. W. Bush, Anne Conway, approves the continued surveillance. APRIL 26, 2017: Rod Rosenstein is sworn in as deputy attorney general, giving him oversight of the Russia probe in the wake of Sessions’ recusal. MAY 8, 2017: Ohr speaks with someone at the FBI. According to top Republicans on the Senate Judiciary Committee, this conversation covers Ohr's contacts with Steele. Another “302” report is produced by the FBI. Ohr still does not tell his bosses in the Justice Department what he is doing related to the Russia matter. MAY 9, 2017: Comey is fired as FBI director. MAY 12, 2017: Ohr speaks with someone at the FBI. According to top Republicans on the Senate Judiciary Committee, this conversation covers Ohr's contacts with Steele. A “302” report is produced by the FBI. MAY 15, 2017: Ohr speaks with someone at the FBI. According to top Republicans on the Senate Judiciary Committee, this conversation covers Ohr's contacts with Steele. A “302” report is produced by the FBI. MAY 17, 2017: Rosenstein appoints Robert Mueller as special counsel. Among other things, Mueller is directed to investigate “any links and/or coordination between the Russian government and individuals associated with” Trump’s presidential campaign. JUNE 2017: Strzok joins Mueller’s team. JUNE 2017: Repeating the same information that was included in previous applications, the FBI submits another application to the Foreign Intelligence Surveillance Court to continue monitoring Carter Page’s communications. Among other senior FBI and Justice Department officials, Rosenstein – nominated by Trump to be deputy attorney general – signs off on the applications. A federal judge nominated to the federal bench by then-President Ronald Reagan, Raymond Dearie, approves continued surveillance for 90 more days. JULY 27, 2017: Papadopoulos is secretly arrested for lying to investigators about his foreign contacts. He later pleads guilty. JULY 28, 2017: Strzok is removed from Mueller’s team after the special counsel is told about Strzok’s anti-Trump text messages. AUGUST 2017: Cohen states that Felix Sater, a frequent Trump Organization associate, suggested in mid-January 2016 that Cohen send an email to Vladimir Putin’s press secretary Dmitry Peskov to initiate approval process for the development of the Trump Tower Moscow, but “those permissions were never provided.” Cohen says he “decided to abandon the proposal” by the end of January. Cohen later pleads guilty to lying to Congress about the deal and admits that the project was discussed as late as June 2016, including communication about obtaining Russian government approval for the project. LATE 2017: Despite Ohr and Steele working together for so long, Rosenstein’s office first learns that Ohr has been in contact with Steele, and Ohr is transferred to a different office. OCT. 5, 2017: Trump's former campaign adviser, Papadopoulos, pleads guilty to lying to the FBI about his contacts with foreign nationals tied to the Russian government. OCT. 30, 2017: Manafort and his longtime business associate Rick Gates surrender to federal authorities in Washington, D.C., after a grand jury approved charges unrelated to the Trump campaign brought by Mueller on the previous Friday, including conspiracy against the United States, money laundering and working as unregistered foreign agents for Ukrainian clients. Both Manafort and Gates plead not guilty to those charges. DEC. 1, 2017: Trump’s former national security adviser, Flynn, pleads guilty to lying to investigators about his contacts with Russians. MARCH 8, 2018: Manafort pleads not guilty to charges of tax evasion and money laundering among others. Gates, who was indicted alongside Manafort, pleaded guilty in February to two felony counts of conspiracy against the U.S. and lying to federal authorities, and as part of a plea deal, had begun cooperating with the special counsel and began sharing incriminating information about Manafort. APRIL 20, 2018: The Democratic National Committee sues the Russian government, the Trump campaign, Trump family members, WikiLeaks and others for an alleged wide-ranging "Russia-Trump conspiracy." Trump campaign manager Brad Parscale called the lawsuit a "sham". ABC News reached out to the other individuals named in the suit for whom the network has contacts and many either declined to comment or did not immediately respond. MAY 2018: Former Trump campaign aide and longtime Stone associate Michael Caputo meets with special counsel’s team for the first time. Caputo has faced two congressional committees for interviews over since 2017. JUNE 8, 2018: Special counsel seeks to revoke the bail of Manafort for allegedly attempting to tamper with potential witnesses, including his longtime associate and former Russian intelligence officer Konstantin Kilimnik, who was involved in Manafort’s Ukraine lobbying operation. JULY 13, 2018: Mueller indicts 12 Russian intelligence officers for hacking Democratic targets, including the DNC, and then releasing stolen information online. AUG. 21, 2018: A federal jury in Virginia convicts Paul Manafort on eight charges tied to years of tax evasion and financial fraud unrelated to his work on the campaign. On the same day, Cohen pleads guilty to illegal campaign contributions in a case in the Southern District of New York. AUG. 31, 2018: Sam Patten, a veteran Republican lobbyist and a Manafort associate, pleads guilty in a case referred by the special counsel to D.C. federal prosecutors. Patten admits to acting as an agent of a pro-Russian party in Ukraine and illegally purchasing tickets for President Trump’s inauguration on behalf of a foreign client. SEP. 7, 2018: Papadopoulos is sentenced to 14 days in prison, one year of supervised release, 200 hours of community service and $9,500 fine, marking the first former campaign adviser to be sentenced as part of Mueller’s Russian-influence probe. SEP. 14, 2018: Manafort agrees to fully cooperate with prosecutors and pleads guilty to two counts of conspiracy. SEP 21, 2018: Corsi meets with a federal grand jury for the special counsel. OCT. 16, 2018: Subpoenaed to appear before the House Judiciary and Oversight Committees, Glenn Simpson invokes his right not to testify, saying Republicans are using him to undermine Mueller's investigation. OCT. 2018: Former Stone associate Andrew Miller fights Mueller grand jury's subpoena by questioning the special counsel's constitutionality. Concord Management and Consulting, LLC, one of 13 Russian individuals and entities indicted by Mueller in February, has brought up a similar challenge against Mueller. Judge later dismisses Concord's case, but Miller's challenge is still ongoing. NOV 7, 2018: Sessions resigns at the request President Trump, replacing the head of the Department of Justice with his chief of staff Matthew G. Whitacker. NOV. 2018: Mueller and his team are reportedly in the process of writing a final report on the nearly 18-month long investigation. NOV. 12, 2018: Trump and his legal team meet to craft responses to list of written questions from Mueller’s team. NOV. 12, 2018: Corsi says he expects to be indicted by the special counsel. Corsi is one of more than a dozen individuals associated with Stone who have been contacted by the special counsel. The witnesses, many of whom have appeared before the grand jury impaneled by Mueller’s team, have told ABC News they were asked about Stone’s dealings during the 2016 election and what if any contact he may have had with Wikileaks founder Julian Assange through an intermediary. Stone denies having any such contact. NOV. 21, 2018: Trump submits written responses to questions from the special counsel. MID-LATE NOVEMBER 2018: Corsi is in plea negotiations with the special counsel’s office. NOV. 26, 2018: Prosecutors accuse Manafort of breaching his cooperation agreement with the special counsel and lying to investigators. NOV. 29, 2018: Cohen pleads guilty to lying to Congress about Russia investigation, including misstatements about the “Moscow Project” -- the Trump Organization’s efforts to “pursue a branded property in Moscow” and reaches a new cooperation deal with the special counsel. This is the second deal Cohen has reached with federal prosecutors and has provided dozens of hours of interviews to the special counsel’s team. DEC. 12, 2018: Cohen is sentenced to three years in prison. The ruling comes after SDNY prosecutors recommends “substantial term of imprisonment” for Cohen for the egregious nature of his crimes and his lack of assistance, while Mueller’s team gives Cohen a nod for providing “wide-ranging and helpful” information on matters related to the Russia probe. On the same day, SDNY prosecutors reveal they have a deal with National Enquirer publisher American Media Company, Inc., in connection with a payment made during the campaign to purchase and never publish the story of a woman who claimed to have had an affair with Trump in 2006. DEC. 17, 2018: Two former business associates of Flynn – Bijan Rafiekian, also known as Bijan Kian, and Kamil Ekim Alptekin – are indicted for conspiring to influence U.S. politicians and public opinion on behalf of the Turkish government. The next day, Kian pleads not guilty failing to properly disclose the nature of his lobbying efforts on behalf of the Turkish government. DEC. 18, 2018: Judge delays sentencing Flynn until March at the request of Flynn’s defense attorney. Mueller’s team had recommended no prison time for Flynn, citing “substantial assistance” to the probe. DEC. 20, 2018: Acting AG Whitaker announces he has decided not to recuse himself from overseeing Mueller's investigation, despite at least one senior ethics official within the Justice Department telling colleagues he would recommend Whitaker step back from oversight of the probe. JAN. 25, 2019: Stone is arrested at his home in Fort Lauderdale, Florida. The longtime friend of the president is indicted on seven counts, including one count of obstruction of an official proceeding, five counts of false statements and one count of witness tampering in Mueller’s probe. FEB. 27, 2019: Cohen testifies publicly for the first time Wednesday about his experience in the Trump orbit before the House Oversight Committee. MARCH 7, 2019: A federal judge in Virginia sentences Manafort to nearly four years in federal prison for financial crimes. He receives credit for his time already served, meaning he would serve just over three more years. MARCH 13, 2019: A federal judge in Washington, D.C., sentences Manafort to 73 months in prison, following his conviction on charges of unregistered foreign lobbying and witness tampering. It is an additional 43 months for Manafort overall, bringing the total time he faces behind bars, including the nine months that he has already served in Virginia, to 81 months. Put another way, the combined sentences of 90 months amount to seven-and-a-half years. MARCH 22, 2019: The Mueller report is handed to the Department of Justice for Attorney General William Barr's review. Congress is notified of the transfer later in the day. MARCH 24, 2019 Barr sends a letter to Congress with his "principal conclusions" from the special counsel's report. APRIL 15, 2019 A Justice Department spokeswoman said the agency expects to release the redacted version of Mueller's report on Thursday, April 18.